You may have heard the term “valve job” because older engines frequently needed their valves reconditioned. You rarely hear about valve problems in today’s engines because modern OHC engines have fewer components to wear out and fail. Most modern engines valve trains are virtually trouble-free. Eventually, After so many miles any engine could need a valve job. To help prevent this type of failure, there are a few things you can do. Maintain a clean, efficient cooling system so the engine does not run too hot. Use good quality fuels to help prevent carbon build up on the valve and seats. Valve work often requires a certain amount of detective work. To fix a valve problem, you first have to figure out what caused it in the first place. 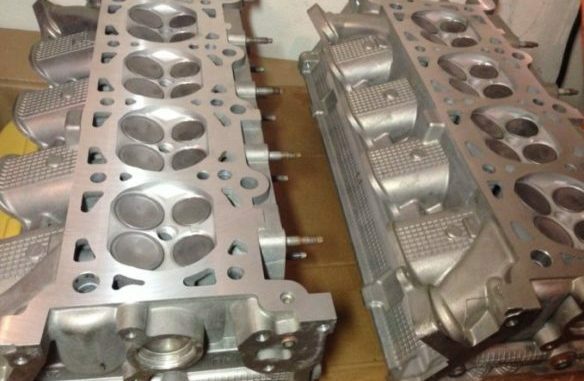 Many engine need a valve job long before they should because of valves burning or breakage. 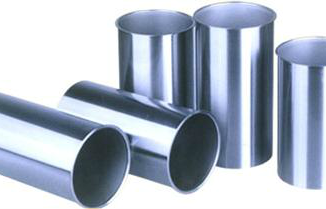 The most common failure of valves is bending or breaking as a result of contact with the pistons. 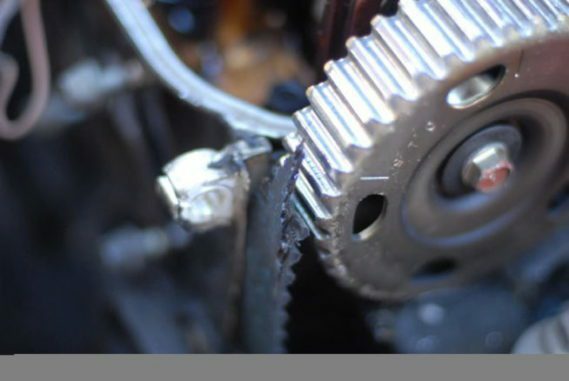 The valves contacting the top of a piston is due to incorrect engine synchronization caused by timing chain/belt breakage and incorrect fitting of new belts and chains. 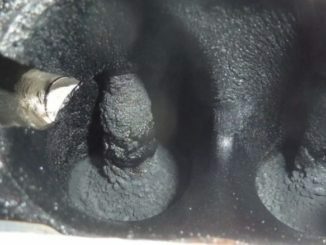 The other common type of valve failure is valve burn, or burnt valves. 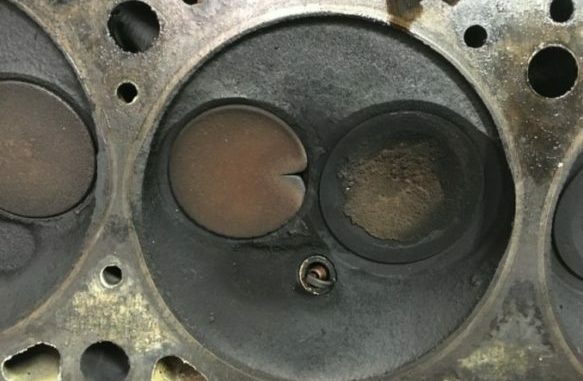 Essentially this is caused by combustion gases escaping between the valve and valve seat when they are not sealing correctly. The hot combustion gases are forced past the valve which starts to burn away the edge of the valve. 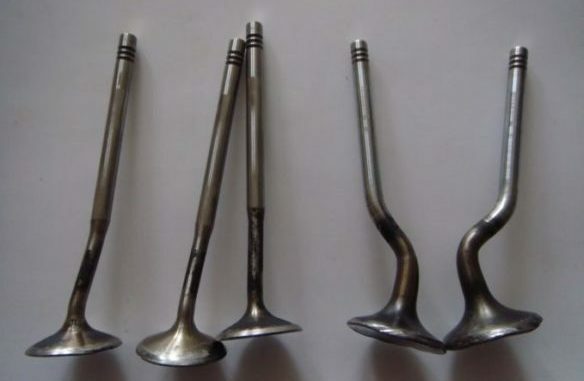 Normally this type of failure affects the exhaust valves only, but it can also damage the intake valves. Because these problems are so rare in modern engines, many people don’t recognize the symptoms of valve trouble right away. Here are some of the signs that you might need a valve job. Ticking or popping noises are the most common types of noises you will hear when you’re having trouble with your valves leaking. Blue smoke is a classic sign of overall engine trouble and should never be ignored. Though blue smoke is not specifically a result of valve problems, it is one of the most common indications, especially when combined with ticking and popping noises. Another sign that you have valve problems is that you frequently notice a reduction in engine power and performance. 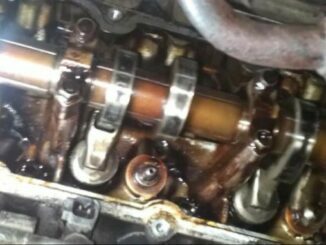 If your valve guides and seals are leaking, oil can accumulate on the top of the valve and cause it lose its seal. This could cause compression issues, which lead to poor combustion and power loss. If you have a interference engine it means that the valve and piston’s stroke take up the same space. As a result, The timing belt essentially keeps them from smashing into each other. If the timing belt snaps, they run into each other, causing bent valves. So, You have done a cylinder leak down test and confirmed valve leakage. Now you know that the cylinder head has to come off and be sent to a machine shop for inspection. Always Ask For A Estimate First, Commonly known as a strip and advise cost to repair. Exhaust valves and springs often need to be replaced. Valve guides and/or seats may have to be replaced. The head may be warped or cracked, requiring additional repairs. The list of things included in a “complete” valve job will vary from job to job. First a visual inspection looking for broken and damaged parts. Completely disassemble the head so all of the parts can be cleaned and inspected. 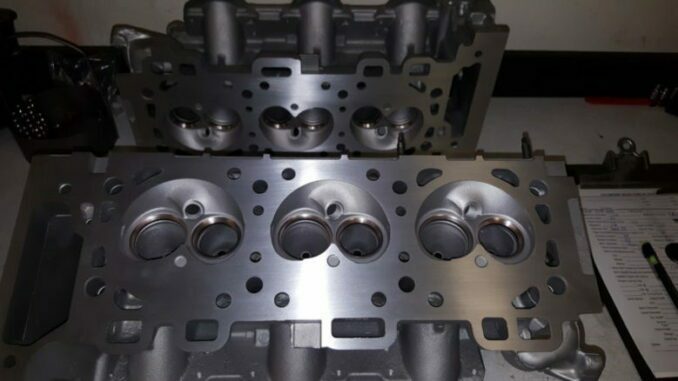 Inspect the cylinder head casting for cracks or other damage. The best way would be by pressure testing. Inspect valves, seats, springs, guides, and other valve train components for wear and damage. At this point the shop should be able to come up with a firm quote for the complete job. They now know what is worn out and damaged. If they are given the go ahead to complete the job the following should happen. Replace any parts deemed not repairable. Install and machine any worn valve guides and seats. Resurface the cylinder head to assure flatness and a proper RMS finish. This is a must for today’s gaskets to seal properly. Completely re-clean all parts and the cylinder head. Reassemble the head with all the new part machined and installed. Do a vacuum test on the head through the intake and exhaust ports. This will confirm that the valve have been sealed properly. The cylinder head should come back to you with all the parts needed to finish the job. Reinstall cylinder head on engine with new head gasket and cylinder head bolts (do not reuse torque-to-yield head bolts). Refer to vehicle service literature for proper head bolt torque procedure and specifications, and OHC camshaft alignment and timing procedure. Replace all gasket along with a new timing belt or timing chain set.